The phone is the company’s 11th to carry the Walkman brand name and will go on sale just under a year since the first Walkman model was launched in Europe in August 2005. It comes hot on the heels of two new models for Europe and Asia that were announced last week. The Japan-only W42S packs 1GB of internal memory, which can be supplemented with a Memory Stick Duo card, and a power saving mode that supports up to 30 hours of music playback. It will go on sale in late June on KDDI’s au CDMA2000 network. KDDI wouldn’t name a price for the phone but a local media report said it will cost around ¥20,000 (US$181). 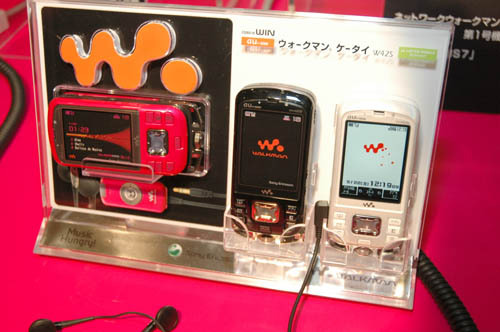 In teaming up with KDDI for the phone Sony Ericsson has chosen the Japanese carrier with the strongest presence in the mobile music download market. KDDI serves up about five million downloads per month to its users. 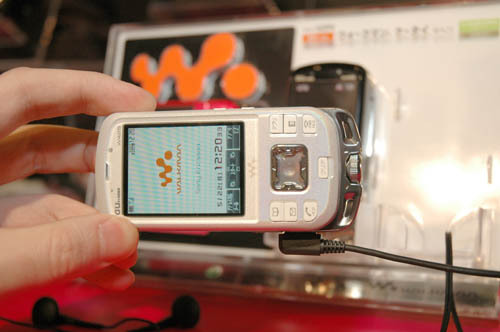 Sony Ericsson’s new GSM handsets, both of which will be available from the third quarter, are the W710 and W850. Both phones include a Walkman music player with support for MP3, AAC, AAC+ and eAAC+ formats. A song encoded in the eAAC+ format occupies just over 1MB of space so a 1G-byte card can accommodate about 1,000 tracks. Other music features include an FM radio with RDS and a Track ID application that allows users to record a few seconds of a song and upload it to the Gracenote (CDDB) music database for identification. The W710 is a quad-band clamshell model for Europe, Asia and North America and comes with a number of features designed to appeal to people with active lifestyles. A motion sensor inside the phone allows for applications that measure speed or distance covered while running or steps taken while walking. The latter application resets at midnight so users can easily keep count of the number of steps taken each day. The W850 tri-band slider model for Europe, the Middle East and Africa has a 2-megapixel camera and comes bundled with a 1GB Memory Stick Duo. Prices for the GSM handsets will be announced as the launch date approaches.